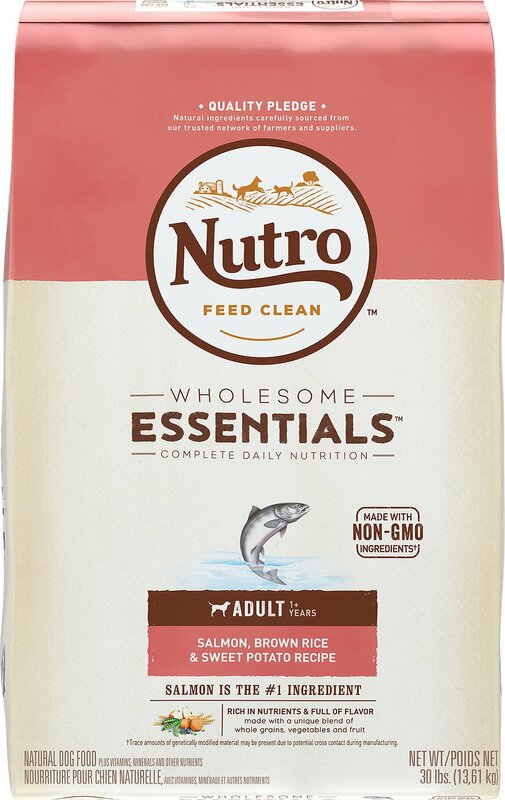 Nutro Sensitive Skin and Stomach Adult Dog Food is made with seasonally caught fish, rich in omega-3 fatty acids. 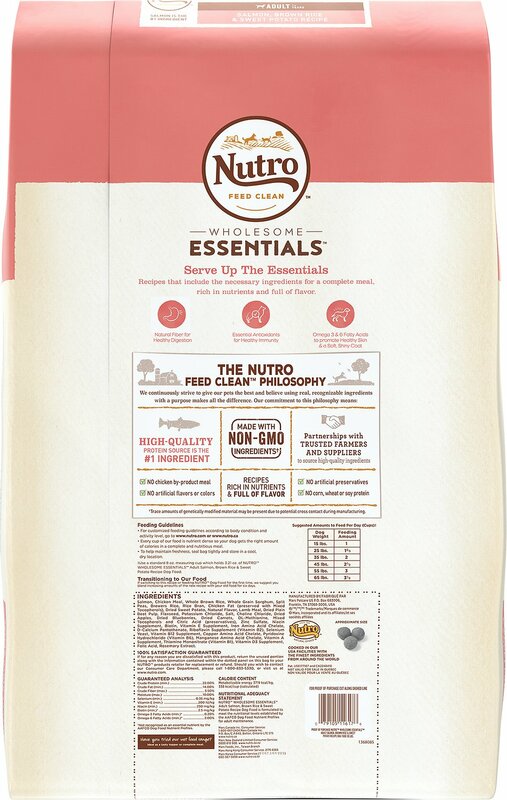 Nutro's delicious, healthy blend, made with whole brown rice and potatoes, has patented vitamin levels for skin hydration and a soft, shiny coat. 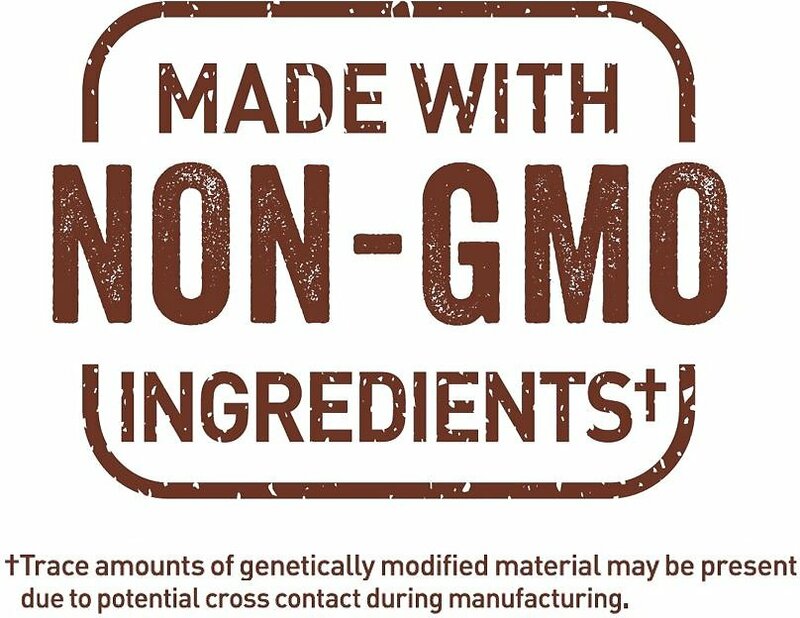 Plus, it’s made without corn gluten meal, wheat or soy protein, which means there’s less chance of aggravating food sensitivity. Dogs with sensitive systems benefit from unique fish-protein sources, such as seasonally caught fish. Ideal for pets who require unique proteins in their diet. This product is made without corn gluten meal, wheat or soy protein. Because of this there is a less chance of aggravating food sensitivities and allergies. Formulated with optimal levels of omega-6 fatty acid (linoleic acid) and zinc to promote healthy skin and a shiny coat. Help keep your pet keep looking great and robust. Made to quality standards here in the USA! Our dog digs into this food like no other. He has been eating Nutro for more than a year. This is his favorite flavor. 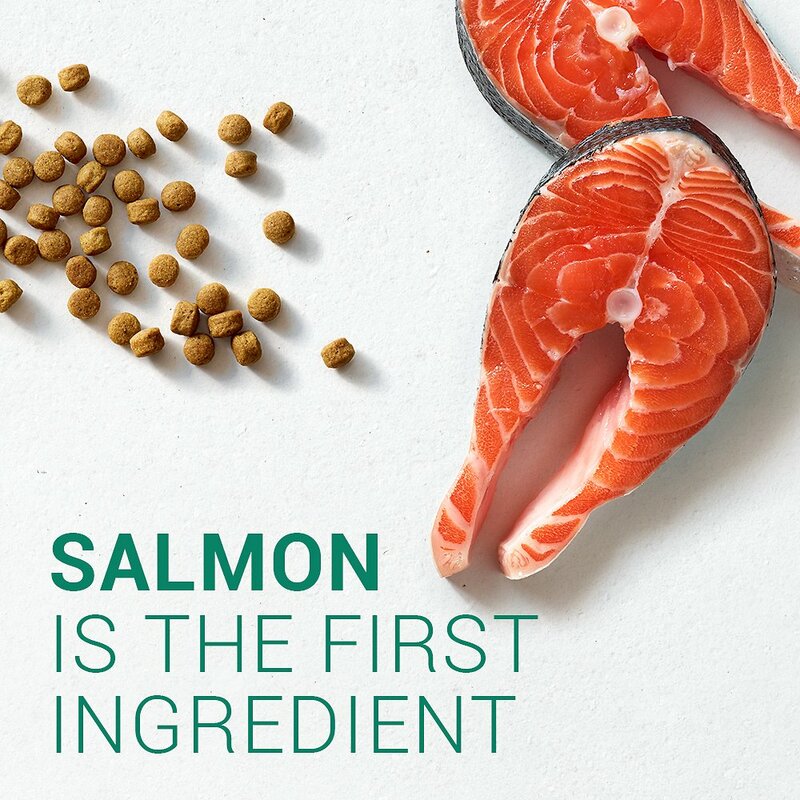 Glad we decided to try Salmon flavor. 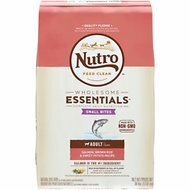 We love Nutro. We rotate between kibble flavors to keep Thelma interested. She seemed to really like this salmon variety. We add warm water to make it more fragrant. We'll purchase this one again in the future. We had been using the chicken and rice puppy food which firmed up stools but our Dane continued to have terrible gas and throwing up. We switched to this and no upset stomach issues so far and he loves it! Problem now is we will be going through a lot of this food now!! Wanted to love this formula but as Salmon being the source of protein, why is chicken meal the second ingredient? My dog is allergic to chicken and unfortunately, I did not do enough research when deciding to switch him to salmon. Will be looking for another brand without chicken. 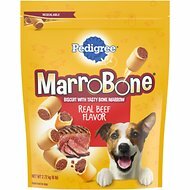 This food has changed the way my Rotten/lab smells (Rottweiler mix). His coat was wirey now it is much softer and his poops are smaller, less frequent, and breaks down better when weather or busy life doesn't permit cleanups. 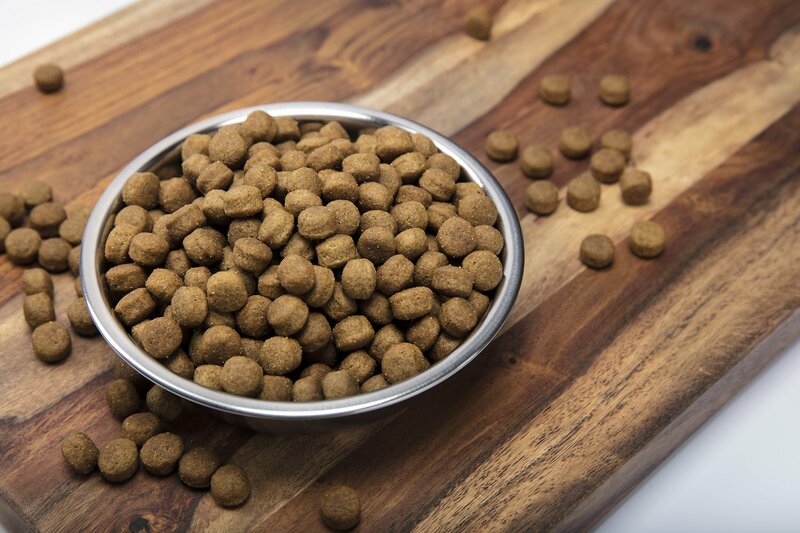 Our three dogs just switched to this food after learning from our vet that grain free foods are made with synthetic fillers and should be avoided...and all three love it, even the senior who goes on periodic hunger strikes! This food has eliminated all of the itchiness and hair loss that my dog was experiencing. I still can't believe the results! For a super healthy food this was a hit with my beautiful alpha girl Sheltie, Sunshine. And my pup, a Cavalier King Charles Spaniels loves it too. Also a super price and service. Vet recommended the Salmon and Sweet Potato formula since my dog has allergies. Using this formulation to see if it’s food related. Chewy always delivers so quickly you would think they are local. THANKS CHEWY!! !